Weighted Base and Curved Design. Locking Enclosure, Exposed Home Button. Accommodates Apple® Generations 2, 3, 4, and iPad Air. 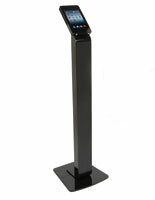 This tablet pedestal stand has a height of 49” from the base and a curved design. 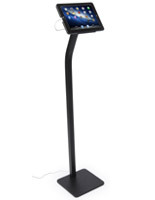 An iPad kiosk is a great way to catch a customer’s eye in store displays by incorporating newer forms of technology. 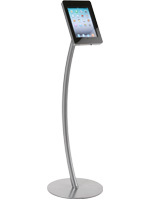 The adjustable pedestal stand can rotate 360° and tilt. A locking enclosure helps keep unauthorized users from tampering with the device while the hidden home button allows customers to access only approved software. 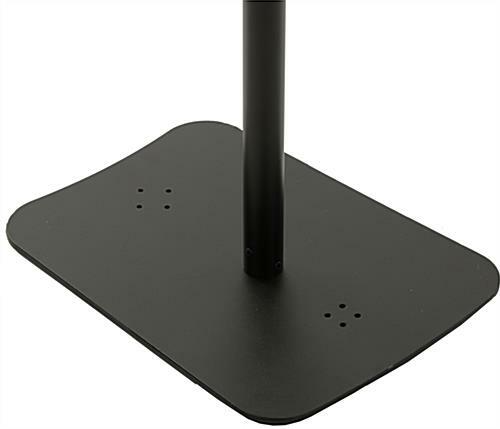 A weighted base helps keep the mount sturdy and upright on the floor. 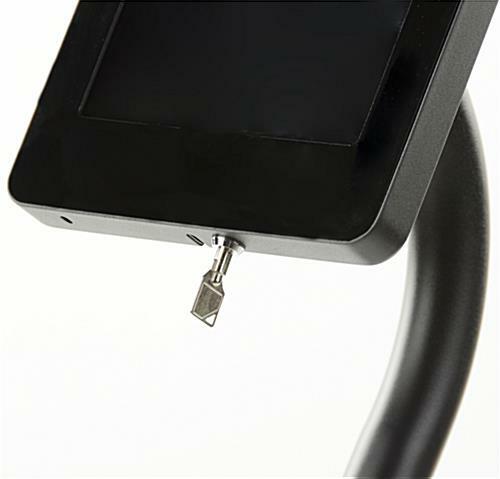 Additional screw holes on the foundation are available to position the mount for balance when pairing it with a promotional banner for your displays. 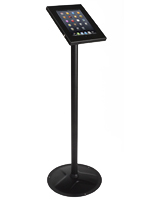 Each floor standing enclosure works with the Apple® iPad generations 2, 3, 4, and the Air. 12.5" x 49.0" x 16.5"
12.1" x 11.6" x 0.875"